Do you like to roller-blade? How about riding your bike or skateboarding? All these vehicles use wheels to go. Cars, planes and trucks also use wheels. So do baby strollers. A pencil sharpener has a wheel and clocks have wheels with teeth. The teethed wheels interlock with one another. All About Wheels: The first wheels were probably wheels to make pottery. They were invented in Sumeria around 5,500 years ago. Only humans use wheels, and compared to other inventions, wheels are a fairly recent invention. The first wheels were probably wheels to make pottery. They were invented in Sumeria around 5,500 years ago. Later, people figured out how to use wheels to draw wagons and carriages. Before the wheel, people had to walk everywhere they went or ride on camels or other animals. 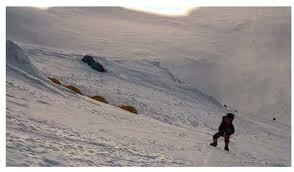 They pulled or dragged things on sleds. 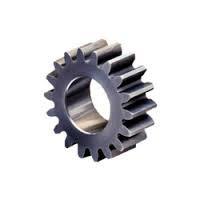 A wheel with teeth is called a gear. 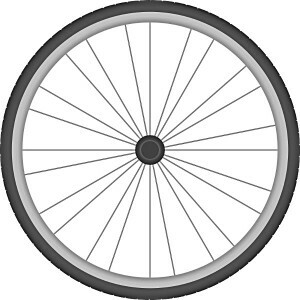 The back wheel of a bicycle is propelled by cog wheels. The cog wheels and a chain turn the back wheel around. If you change gears, the bicycle wheels turn slower or faster. Wheels on cars, roller skates, baby strollers and other things have axles. 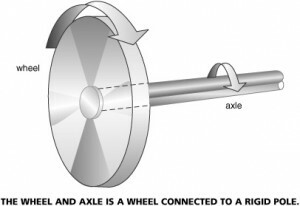 An axle is a pole that runs through the wheel. The wheel turns around it. A wheel with teeth is called a gear. The teeth are called cogs. A short video about the history of wheels. Question: Can wheels be used in every situation? Answer: In some parts of the world, people still walk most places or use animals like donkeys or camels to pack things. Wheeled vehicles can’t go up very steep mountain areas or through desert sand. In many parts of the world, people don’t have access to cars or bikes. They also don’t have the fuel to make cars go. Enjoyed the Easy Science for Kids Website all about Wheels info? Take the FREE & fun Wheels quiz and download FREE Wheels worksheet for kids. For lengthy info click here. Declan, Tobin. " Facts About Wheels: History, Working and Importance for Kids ." Easy Science for Kids, Apr 2019. Web. 26 Apr 2019. < https://easyscienceforkids.com/all-about-wheels/ >.